We’re all held captive by something, but as the Church we are called to be held captive by Christ’s love for the sake of others. We, the Church, are called to be salt and light; To preach the Gospel, the good news that God loves people and is reconciling the world to Himself and that a King has come and He wants us to bring heaven to earth. God has placed a greatness inside every one of us. Sometimes the challenge is seeing ourselves, and the people around us with the same eyes The Lord looks at us with. Pastor Kristina speaks about the power of a life transformed by the love of God and how, through a deep understanding of God’s acceptance and love for us, we can begin to truly love others just like Christ. Pastor Justin gives us an encouragement to accept the perspective that God has made everything beautiful in its time and that we have no need to fear the unknown because of this truth. In the Old Testament, the Ark of the Covenant not represented God’s presence, but also was an invitation to relationship between God and Man. Pastor Craig reminds us of the importance of putting The Lord at the center of every aspect of our lives. The final step in our four-part class designed to be the doorway into community at Victory Faith. Step four helps you make a difference by introducing you to Victory Faith Teams. Don’t go on this journey alone! Pastor Justin talks about how you can explore groups and get plugged in at Victory Faith. The way God designed you helps reveal the great destiny he has for you. This is the second part of a four-part course, introducing you to everything you need to know about diving into life at Victory Faith. A review of 2018 and a look into what we believe 2019 might hold for Victory Faith. The first in a four-part course designed to introduce you to everything you need to know about diving into life at Victory Faith. 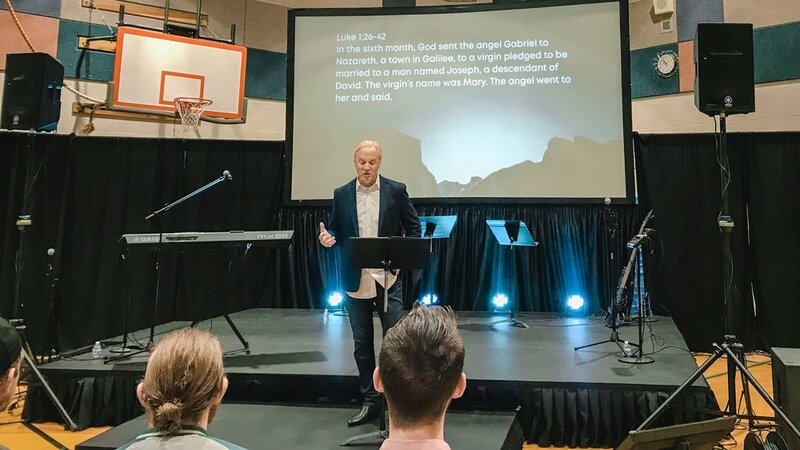 Valley Campus Pastor, Trevor Seaman, encourages us with the words of King David: “Better is one day in your courts than a thousand elsewhere”. Could it be we are not doing what the early church did? Are we acting like the 21st century American Church acts and expecting the results of the 1st Century Church got? One word can change everything. As we are beginning this New year, Pastor Monie Lotze encourages us to seek God and find out what one word will guide the course of 2019. Pastor Justin outlines the power and victory that lies in setting our sights on the more that God has for us in the new year. Jesus was called the prince of peace, but what does a life in Christ’s peace really look like? Victory Faith’s Senior Pastor, Craig Lotze, gives fresh perspective to the Christmas story. A special video message by Pastor Justin Sabestinas. We are reminded that progress does not come without meaningful change. What is it that God is calling you to change to make more room for the dream of God in your life? Pastor Monie challenges us to make thankfulness a part of our daily lives, reminding us that through a poster of gratitude, we allow God’s presence in our lives to be magnified. Pastor Craig finishes up our community series and warns against the temptation within relationships to become offended—challenging us to care for one another by living in unity together.